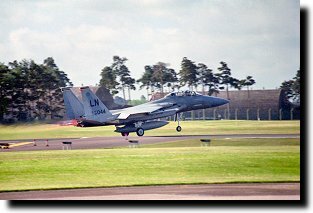 RAF Lakenheath is a USAFE base located only a few minute's drive from RAF Mildenhall, West of the A1065 between Mildenhall and Brandon, around 12 miles North-East of Newmarket in Suffolk. 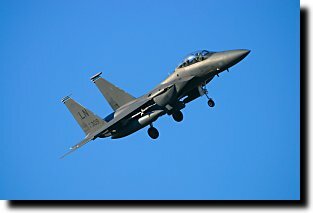 The 48th Tactical Fighter Wing, otherwise known as the Liberty Wing, is based here and provides the mainstay of any activity you'll see. 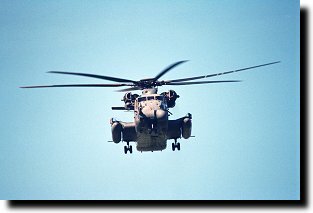 Security: Since the WTC & Pentagon attacks of 9/11, security at both Lakenheath and nearby RAF Mildenhall has been increased. Lakenheath has eased up somewhat since but the road through the base has been closed permanently as has the Southern end of the footpath near the 06 end. Base security or MoD police will take an interest in you around the less-easily-accessible points on this guide but are normally okay with you being there once they know what you're up to. However, there have been recent incidents of base security telling people outside the fence that they are not permitted to take photos except from the approved viewing area. This is nonsense. You are entirely within your rights to walk on the public footpaths and open access land bordering the airfield, and take photographs of aircraft in flight. They can legitimately object to you taking photos of the airfield itself but US security have no powers outside the fence and would need to call the local police to deal with you if they felt you were a genuine security concern. If you are hassled, threatened or lied to in this manner by USAFE security personnel you should complain to the station commander at RAF Lakenheath and also to the local police. The US are after all guests in our country - not the other way round. The "Lakenheath Action Group" (who are opposed to nuclear weapons being stored on the base) occasionally try and break into the station and this results in heightened security and occasional closures of the viewing area. 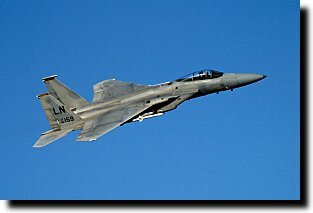 F-15s, and plenty of them. 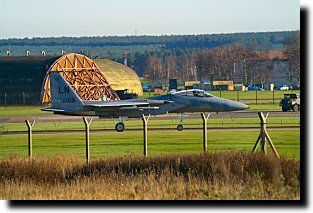 Both Eagles (F-15C/Ds) and 'Beagles' (F-15Es) are based at Lakenheath and fly on almost every weekday from 09:00 to around 18:00 and often much later (particularly during winter). 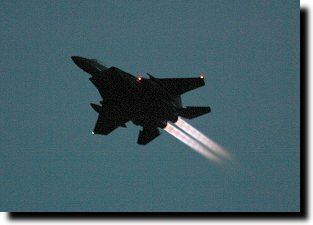 However it's not just F-15s, oh no. 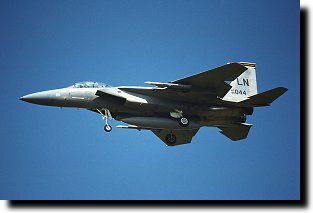 Lakenheath sees regular visitors from abroad; for instance German Tornados, F-16s of various nations, US Navy C-9s, etc. 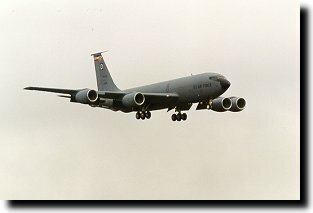 Sometimes aircraft from Mildenhall divert here so it is not that unusual to find KC-135s or KC-10s in the circuit. 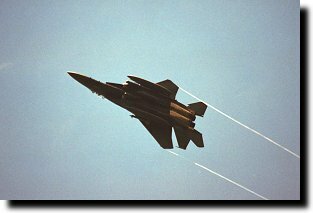 On rare occasions you may even see an RAF aircraft fly an approach and overshoot. 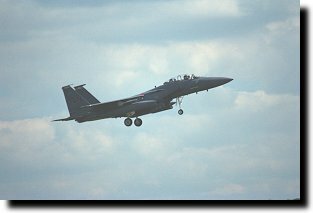 Lakenheath is normally completely dead at weekends and in the evenings; indeed they sometimes place obstructions on the runway at weekends to make sure it stays that way! Assuming you are coming off the A11, take the A1065 off the A11 roundabout and just follow the road North. After a while you'll see some large water towers on the left side of the road and the road curves to the right. The speed limit drops to 40 from now on and you can come across queues of stopped traffic so be careful. At the traffic lights outside the main entrance to the base (A) you can see the F-100 gate guard easily (to take photos of this, it is best to write to the base in advance requesting permission). When aircraft are landing on runway 06, they tend to use a right-hand circuit and pull round in a smooth curve from base leg to finals, presenting their topsides within range of a 300-500mm class lens here. Unfortunately there is nowhere to park, and the police will soon show up if you hang around here, as it is opposite to the entrance. So, continuing on... the road curves to the left and you'll be able to see the airfield boundary. As the end of the runway comes into view there is a place on the right-hand side of the road where you can pull over and park under some trees (B). This is access to National Trust land so don't block it - however there is normally room for 10 or so cars to park here. Try and park on the grass by the trees rather than on the gravel by the roadside, unless you particularly want a tractor to roll over your car ten minutes later - they often use this spot to pull over and let the traffic jams behind them disperse. This is a decent spot from which to take photographs of larger aircraft on approach to runway 24, though the trees to your right can mask their approach and give you only a few seconds in which to take your shot after you hear engine noise. Base security can take an interest in you here, and may send along the MoD police to have a chat to see what you're up to if the security state is heightened. Normally you shouldn't have any problems here though. It's also a fine spot for logging serials of aircraft landing or taxiing out onto the runway from the hangars across the road. 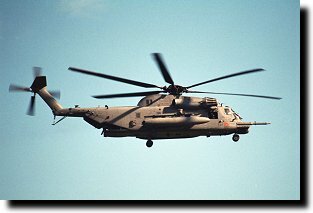 Aircraft taking off on 06 will initially be out of sight but the mounting volume of noise will alert you to their presence and you have a good opportunity to take pictures of them as they climb and often bank gently towards you. Aircraft arriving in the circuit can also extend far enough this way to offer a nice topside shot here, but most of the time they begin turning before they get this far, and sometimes bank in the opposite direction offering a clear underside shot. For good side-on shots of aircraft on approach to 24, a walk into the field here is necessary. There's a gate into the field that is easy enough to climb over; now you can position yourself anywhere you fancy (e.g. point C), on either side of the approach depending on the time of day and therefore sun position. Eagles do tend to be a little high here though, and occasionally livestock are in this field making it out of bounds. You can of course stick to the roadside outside the field but traffic can be heavy and is usually fast so take care. The field itself is mostly Open Access land so the MoD police should not have any issues with you being there unless you are among the approach lights - that strip of land is not Open Access. If you want some nice reheat shots of anything taking off on 24, you can cross the road and shoot through the fence; there's a large expanse of verge so you are safe from the traffic on the road. However the runway is fairly distant so a big lens is necessary (say 500mm+). The distance, high chainlink fence and other obstructions within the airfield makes this spot more useful for head-on pictures of aircraft on finals to 24 really; it also tends to make base security take more of an interest if you hang around close to the fence. People are often moved on for hanging around by the fence along here. If you couldn't find enough room to park at point B, your next option is the paved layby on the left side of the road just after the approach lights (E). While this is a great spot for photos of aircraft landing on 24, it's not a pleasant place to wait at because of the traffic on the A1065. You're better off parking in the viewing area and walking back to the verge here. So, give up on this and keep on going on the A1065 until you see a road to the left. Turn left here and then turn left immediately again (signposted for the Aircraft Viewing Area). Down this small road you'll soon see the viewing enclosure on your left F. There are a good number of parking spaces here but they tend to fill up quickly if anything remotely exciting is rumoured to be happening. The viewing area is fine for logging serials but is poor for photography because of the high fences surrounding it. If you want pictures your best bet is to park here but wander back out of the viewing area, turn right, then right again under the pole blocking access to the field and walk along the well-trodden path beside the fence. Just about anywhere in this field is great for photos of approaching aircraft or you can keep on going and you will come out near the A1065 and runway end as previously described. While from the viewing area you can get fairly good views across the airfield, some aircraft are bound to be at just the wrong angle to get a serial read off, or partially hidden, and it's not great for photography of aircraft taking off from 06. So, out of the viewing area and turn left towards the crash gate (G - don't forget to wave at the CCTV camera - or armed guard on some days!). The gap between the gate and the fence gives you a brief opportunity to get a decent shot of aircraft departing from 06, and if you're lucky they'll also bank hard left further on giving you a nice topside view. Further photographic opportunities exist further along the private road towards Wangford; there is a taxiway on this side and F-15s delayed for whatever reason will pull off the runway and wait here while others get airborne; those that have landed on 06 also regularly use this area to hold until they a parking spot opens up for them. It's easy enough to get photos of them through the fence but the sun makes this tricky except early in the morning or late in the afternoon. Right up at the end of the lane is a yard of an abandoned farm building, and this can offer a different view across the airfield (H). It's a bit hit and miss for photos because of the high fence and numerous obstructions on the airfield itself. A stepladder would be handy for getting a view over the fence but base security will no doubt get very interested. Aircraft taking off from 06 are your best bet; those taking off on 24 can offer some good afterburner shots from here but they rarely get airborne this far back unless very lightly loaded. Despite being a derelict yard one of the local residents sometimes takes great exception to people using this spot as well! The next spot may not be too useful but you never know - back to the car, leave the viewing area and go back down the road you came in. Turn left to go towards Lakenheath village. Go to the end of the road and turn left into the village (unless you fancy risking the farm track route on the map!) and then turn left at a chip shop in the village (opposite the Post Office) to go down Cemetery Road. Watch out for idiots driving in the middle of the road down here. Along this road there are a number of rough laybys on the left to park at (e.g. I) and then a walk further down the lane will get you a nice raised viewpoint to look down onto the airfield. If 06 is in use and aircraft are using the North taxiway to return to their parking spots, then a very big lens (800mm+) can get you useable pictures of them taxiing head-on towards you, but there is a lot of clutter in the background (including the mock-up F-15 used for fire fighting training). The view deteriorates as the road drops towards the crash gate (J) and fences loom up. There is a HAS site near here which might have something parked up if an exercise is on (normally it's disused) and you can walk around the perimeter for further views; however security may get a little twitchy if you go too near the ammo dump, East of point J. To the South is more Open Access land and you should be able to follow the perimeter for quite some time (e.g. to point K) though it's of dubious usefulness for serials (very distant views of anything parked on the disused runway) and zero use for photography of anything except aircraft taxiing back this way (which isn't always the case when 06 is in use - they can taxi off to the right at the runway end, in which case this spot will be dead quiet!). When 24 is in use this whole area is a dead loss. Back into the village and turn left go further down the B1112. Outside the village there is a small derelict church and a barn on the right, and just before this on the left there is a rather well hidden entrance to a public footpath/vehicle track. You'll probably need to drive past one or two times to spot it! There's room for maybe one or two cars to park at the entrance (L), but it's a sod getting back onto the road again so you're better off finding a parking place somewhere nearby instead (e.g. by the barn - O), and walking back. From here the view of the station is pretty much non-existent and you're a bit distant for good photos (though the occasional overshooting aircraft will pull round over your head). Be prepared to have a chat with the police if seen parked here - but they're normally happy once they realise you're just watching the aircraft. If you walk up the footpath/track towards the station you'll soon see the approach lights for runway 06, and arrows showing the new route of the public footpath (which once ran right through the domestic areas of the base - it was rerouted during the Kosovo conflict and is likely to stay rerouted). There's plenty of room to sit and watch anything on approach to 06 or taking off from 24 (e.g. M, N). One bugbear for photos are the overhead cables further back towards the road. This spot is not that well used and spotters seen here have caused security alerts in the past when twitchy pilots have seen lurkers they didn't like the look of. So there is a definite possibility you may be troubled by base security if you hang around here - however they used to be happy enough once they realised what you were doing. In the current security climate it may be best to simply avoid this area. As mentioned above point O offers alernate parking for using the footpath by this end of the runway but it's also a passable spot for photos too. Just a little further along the road towards Eriswell there is what used to be a layby on the right, but which has been changed into an entrance way (P). This offers precisely no view of the airfield whatsoever but does offer some room for parking either side of the tarmac. While obviously it could also be useful for parking and walking back to point L and so on, it has one more use... As it's directly on the runway heading, you do get aircraft going overhead. You only get a split second's warning of aircraft departing from 24 - but there is one type of departure where you can get a very nice picture indeed. Occasionally (often on Friday afternoons for some reason), pilots will request an 'unrestricted climb' on departure. 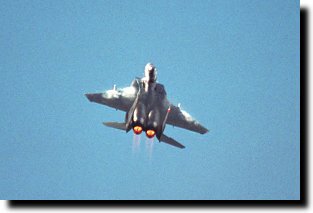 This means a Lightning-style departure with full reheat, straight up! Handily they seem to pull back on the stick just as they cross the road here, so if you're quick you can get a shot of them pulling up into the sky, vapour boiling off the top surfaces and burners blazing. It's hit and miss but you may get lucky. This spot, if you walk off the layby past the trees and into the field behind it, is also handy for approach photos when 06 is in use - unfortunately if you stay close to the layby you're limited to head-on or overhead shots really, so a walk further to the South is helpful. Follow the track in the field South to the next field and towards the group of trees near the stream crossing (Q) and you can get great shots of aircraft curving round onto finals; they are still banked over towards you as they go past so side-on shots are easy despite their height at this point. A further walk would probably enable you to get topside shots but steer clear of the house further on, the owners might take exception to camera-toting spotters practically in their garden. Lakenheath village has a number of petrol stations and convenience stores and a Lloyds/TSB bank with a cashpoint that accepts most cash cards. With RAF Mildenhall so close you'll likely be visiting both, but bear in mind the road through the base - part of the shortcut to Mildenhall - was closed after the 9/11 attacks, as was RAF Mildenhall's viewing area. Contributors: author, Michael Anderson, Nick Challoner, Mike Tighe.